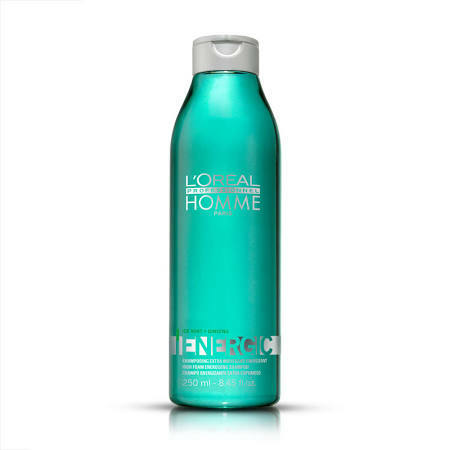 L’Oréal Professionnel Homme Energic Shampoo contains Ice Mint and Ginseng to refresh and strengthen your hair from root to tip. This invigorating shampoo uses high-foam technology to lather up for a better, deeper cleanse. Spread evenly through wet hair Lather Rinse thoroughly In case of contact with eyes, rinse immediately. Buy Homme Energic Shampoo 250ml on-line today at Riah Hair.